24/7 Emergency Service & Free Estimates! Genesis 1:3 Electric has been providing professional electric services to industrial and commercial businesses for years and has become a leading provider of solutions to electrical problems around the Denver Metro Area. Genesis 1:3 Electric has provided the gold standard in commercial electrical services to Denver business owners for years. We have efficiently and effectively helped many businesses, large and small, and we are fully committed to their total satisfaction. Whether you need minor electrical issue work or more extensive repairs, there is no job too big or small for us to tackle and we have the proven track record and skills needed to solve it. Our courteous, experienced techs possess the knowledge and experience necessary to troubleshoot and solve electrical problems and to provide effective solutions at reasonable prices. 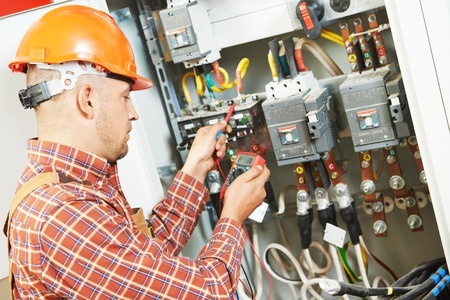 Whether you need a one-time commercial electrical service or a monthly electrical maintenance program, we have the license and experience to handle every project you may have anywhere in the Denver areas. If you are a corporation, manufacturing facility, commercial or industrial facility, we can offer solutions to your electrical problems. Genesis 1:3 Electric is a fully licensed commercial electrician and industrial electrician in Denver Colorado. We provide full service on all types of repairs, maintenance and installations. We provide electrical services for large commercial builders, large construction projects, factories and assembly lines, gas stations, restaurants, hotels and more. If you have an electrical project and you are in the Denver area then we want to be your commercial electrical contractor. We have done commercial electrical work for nursing homes, hospitals, hotels, apartment complexes, factories, churches, restaurants, banks, and real estate brokers, property managers, construction companies and many more. The high-quality installations that we offer are done right the first time and we stand by our work. We are ready to handle everything electrical. Nothing is too big or too small for our company. We pride ourselves on the relationships that we build with customers, and many of our customers have been with us for many years as a result of the quality work that we provide. For prompt electrical services of the highest quality and with the finest expertise, contact Genesis 1:3 Electric. Get your free estimate today! We are proud to service customers throughout the Denver Metro!